What is it and what’s yours? Days Sales Overdue or DSO relates to the average number of days it takes for you to receive payment after invoicing your customer. It is important for your company to know what your average DSO score is, because it will show you how long it is taking you to get paid after sending an invoice. If you have a high DSO score, it shows you that your company is not collecting payments quickly enough. Knowing your DSO is your starting point to finding out what you can improve on. What happens when you don’t collect payment on invoices quickly? When your customers don’t pay you on time, cash will not be coming into your business on a regular basis. Cash is of course what keeps you afloat. Lets say that your payment terms are 30 days. If your DSO industry average is 62, then your company has room for improvement. A low DSO shows that your company collects it’s payments on invoices quickly. So how do I reduce my company DSO? The faster you send your invoice for payment, the faster they are likely to pay you. This is because the sale of your product or service is still fresh on their mind. They hopefully ordered your product or service knowing that they had available funds to pay you to terms. A hard thought to process isn’t it? However, chasing customers for payment for a product or service you have already provided costs you more time and more money. Work out if it is worth keeping that customer who won’t pay on time. A customer that costs you more in time to deal with, is certainly worth thinking about! Think about reducing your payment terms from 60 days to 30 days, or 30 days to 14 days. They way to do this is to inform your customers on all invoices that payments are now required in full within 14 days of the invoice date. You can also discuss your payment terms with customers before they decide to purchase from you. Give them the choice and discuss the options available. 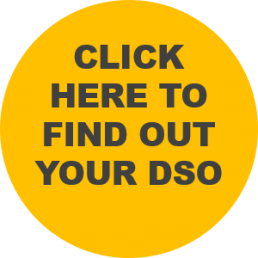 Try out our free DSO calculator, find your score and work out if you need to improve. For more information on how we can help you reduce your DSO and improve your cashflow click below to find out more about our outsourced credit control service.